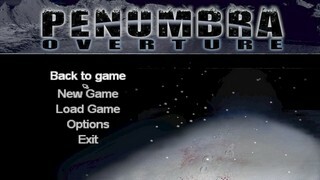 Released on March 30, 2007 by Frictional Games, Penumbra: Overture is the first installment of the Penumbra series of episodic survival horror games. The game follows the story of the protagonist, Philip, a 30-year old physicist who follows a series of clues to an abandoned mine, which just happens to be filled with all sorts of nasty creatures. Best time on Easy difficulty: 0:18:55 by 'Kotti' on 2012-07-10, done in 5 segments. First off, thanks to the people on SDA who worked on this game before me, especially TheVoid whose early run I used as a reference. During this run I use a trick called inventory jumping a lot, which only works in version 1.0 of Overture. - First underground room: Pushing the barrel from the other side of room skips a small tunnel section. - Storage: Moving the box from the trapdoor using a rock saves a bit of time and inventory jumping back up skips getting the ladder. - Workshop: Inventory jumping over the electric fence. - Lead Shafts A: Not a perfect clip through the fence, but still pretty good and it boosted me very close to the door. - Mining machine: This clip skips getting fuel and the key to the machine. - Refinery: Inventory jumping saves a good amount of time here. - Nothing massive here, aside from the inventory jumps during the escape sequence. It's not possible to skip breaking the pillar that stops the worm, otherwise the door will rise extremely slowly.